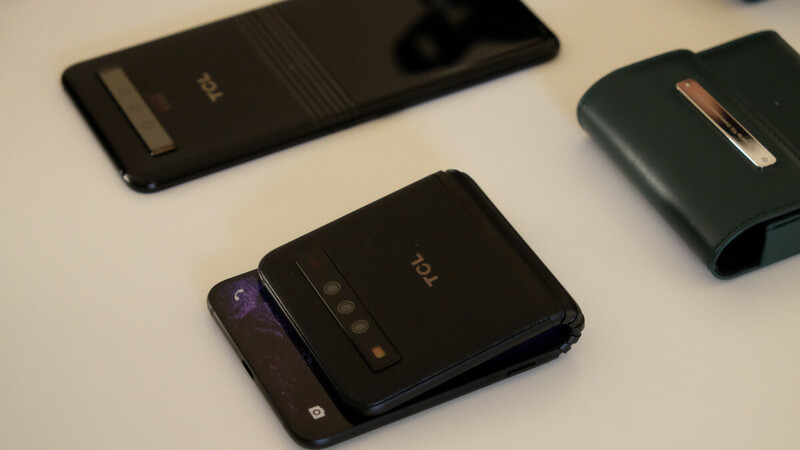 Foldable smartphones are most certainly the future and TCL Communication knows this. Unlike Samsung and Huawei, TCL doesn’t yet have a consumer-ready foldable smartphone up its sleeves. But what it does have is the hinge technology that will make them possible in the near future. According to the company – which is behind recent Alcatel and BlackBerry-branded smartphones – one of the main issues that have to be overcome before creating foldable devices is the need for a durable mechanical housing, which is where DragonHinge comes in. Thanks to the proprietary technology’s shape, a constant level of tension is applied to the display at all times. This allows users to smoothly fold the devices without worrying about any potential deformities in the OLED display. Aside from the hardware challenges, TCL also recognizes that software will play a big role in the practicality of foldable smartphones. Because of this, the company is working closely with its partners in order to develop a software experience that can “seamlessly adapt” to the new form factors that’ll be made possible with foldable devices. As things stand, the brand hasn’t decided upon just one foldable display implementation. Instead, TCL is actively exploring a wide range of alternatives ranging from foldable tablets to phones that can be folded vertically rather than horizontally. Along with sister company CSOT, who will be the supplier of the foldable OLED panels, TCL hopes to show the world through its foldable devices that it can be “an innovator and leader in the mobile device market of the future.” Still, it’s in no rush. TCL claims that the “responsible” way of approaching things is to be “patient” and its release timeline shows this. TCL expects its consumer-ready foldable smartphones to be finalized sometime next year. Other than the DragonHinge, no specifics about these models have been announced. Nevertheless, they should pave the way for foldable smartphones from the likes of BlackBerry and Alcatel in the future.